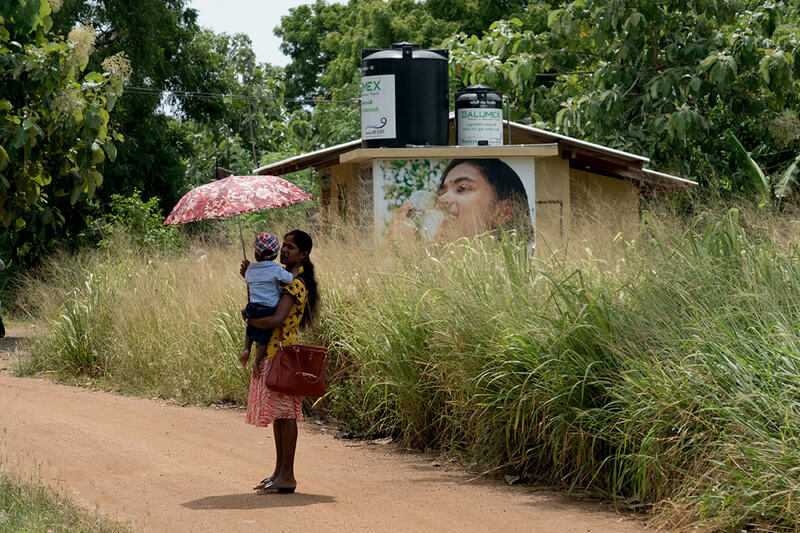 A deadly kidney disease is ravaging the rice-growing regions of Sri Lanka. Are synthetic fertilizers and pesticides to blame? 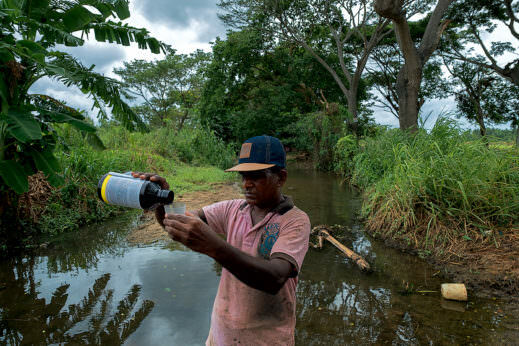 In the North Central Province of Sri Lanka, a rice farmer sprays his paddies with herbicide. 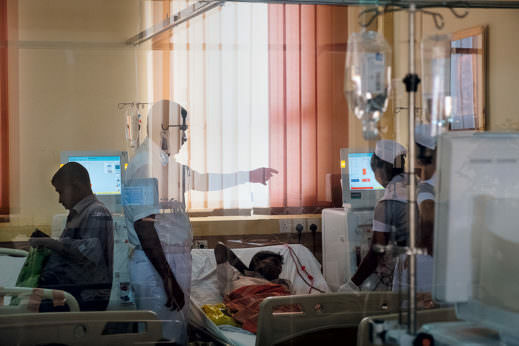 A patient at the province’s Anuradhapura Teaching Hospital receives dialysis to treat a mysterious kidney ailment that afflicts up to a third of the region’s population. A mother and her child bicycle past rice fields in the North Central district of Dimbulagala, one of the areas most devastated by kidney disease. 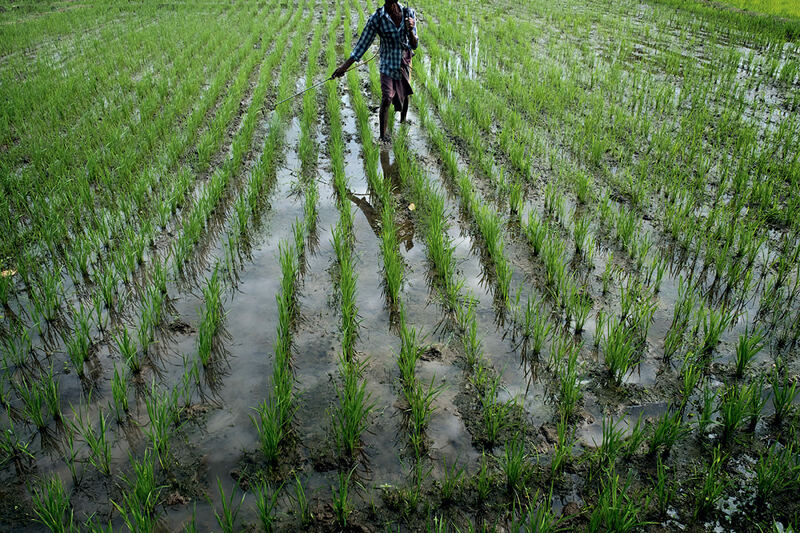 A rice grower prepares pesticide in the village of Kongahanagama. 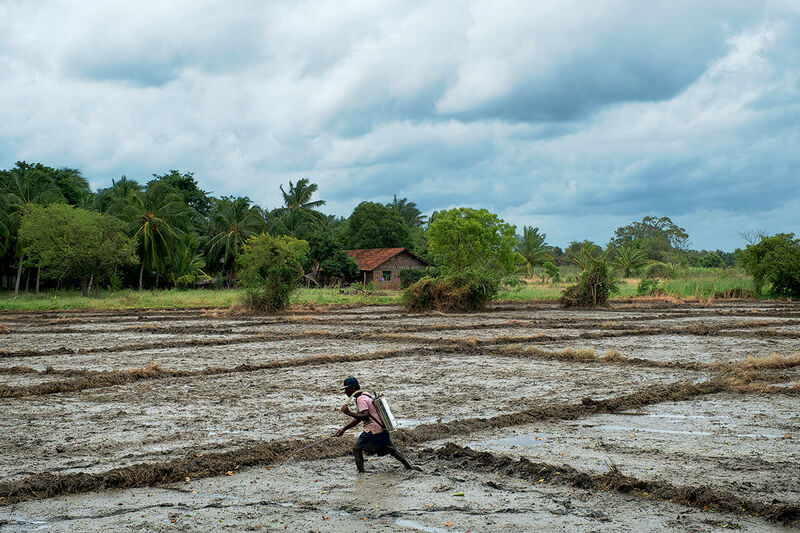 Although the Sri Lankan government recently banned five common agricultural chemicals, farmers still manage to access them through the black market. A government-funded organization tests students for early signs of renal failure. 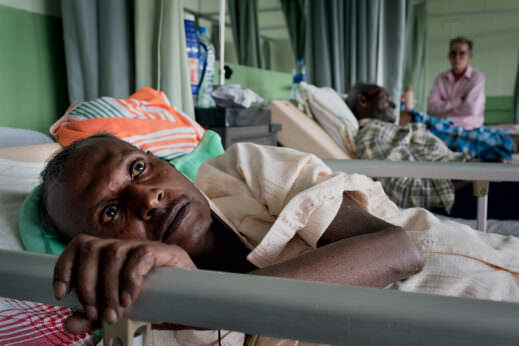 At the Anuradhapura hospital, clinicians attend to patients suffering from the epidemic. 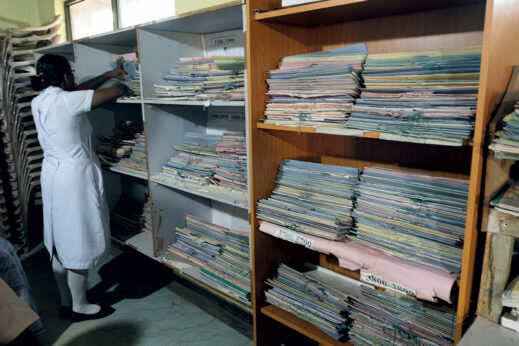 An employee at the Medawachchiya Hospital – 16 miles north of the larger teaching hospital in Anuradhapura – files medical records. Many patients who receive dialysis at the two facilities must travel several hours by bus, on rudimentary roads, three times a week. K. Bandulawarnara, a former farmer suffering from end-stage kidney disease, relies on a military pension earned during the Sri Lankan civil war to support his wife and two children. 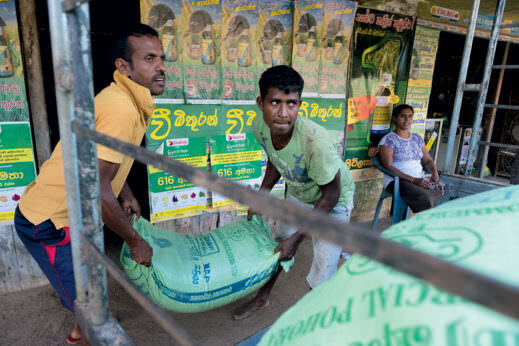 Two rice growers load their truck with agricultural chemicals outside a store in the North Central town of Rajanganaya. Many of the Sri Lankan farmers Kashi spoke to suspected that the illness stems from contaminated drinking water. Arsenic, cadmium, and other heavy metals found in synthetic fertilizers and pesticides frequently surface in the country’s groundwater. Channa Jayasumana, Ph.D., a medical toxicologist at Sri Lanka’s Rajarata University, believes there’s no single smoking gun, but rather a confluence of factors at play, among them: malnutrition, chronic dehydration, a prevalence of infectious diseases like leptospirosis, and the interaction between groundwater supplies and agricultural chemicals. Specifically, his research focuses on whether those chemicals and heavy metals, along with the water’s naturally occurring calcium and magnesium, are forming new, more acutely toxic compounds. 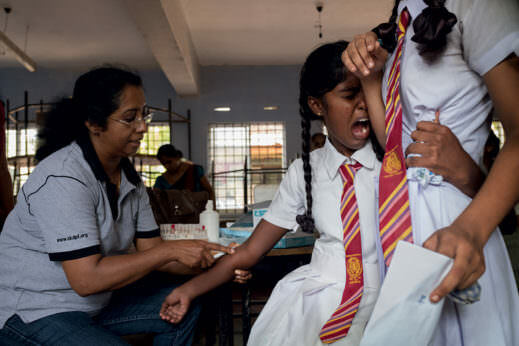 Jayasumana notes that glyphosate, the active ingredient in Monsanto’s Roundup, was originally patented in part as a chelating agent – a substance that readily binds with metals – and may act as a vector, carrying heavy metals to the kidneys. This farmer, named Dharmasiri, says he has relied on pesticides and other modern means to increase rice yields for 20 years. Though Monsanto vigorously denies Jayasumana’s claims, he counters that the corporation tests its products in temperate Western countries. “Our research shows that pesticides behave differently depending on climate, soil type, and groundwater conditions. It is the duty of Monsanto to show that these chemicals are not toxic in other parts of the world,” says the doctor. Meanwhile, the Sri Lankan government isn’t taking any chances. President Maithripala Sirisena instituted a national ban on glyphosate upon taking office in 2015. Pesticides containing propanil, carbaryl, chlorpyrifos, or carbofuran had already been outlawed in 2014. Yet farmers continue to purchase the prohibited products at inflated black-market prices. Residents of the North Central Province get water from a reverse-osmosis system designed to remove heavy metals and chemical residues. Ironically, some of the funding for these units came from a corporation that distributes fertilizers, herbicides, and pesticides.